To support you, the Training Provider, with your application we have broken down the requirements and process into 4 sections when applying for CPD approval. A guide is available for you to download before beginning the process. Before applying, you should consider whether the training or event meets the criteria. To do this we recommend that you go to and read “Meeting the Criteria – how we assess the CPD activity” as a guide. Once you have determined the event/training meets the criteria, you will need to complete the CPD Application Form. Download the application form, complete and return the form to CBOS. Incomplete applications can mean delays in the approval process. We also request an application at least 2 weeks before an activity is held. This will ensure that you receive confirmation of the CPD points before running the activity. To find if a course is already approved for training / competencies and/or holds nationally accredited status for training go to Registered Training Organisations (RTO) and to also refer to the Occupational Licencing (Approved Courses of Training) Determination 2016. CBOS requires all proposed CPD training or activities for approval and/or notification. The course content and deliverables are to be current and relevant for those attending the course as part of their continuing professional development. The instructor must have appropriate technical and educational knowledge and experience relevant to the course they are delivering. The learning environment is appropriate, safe, supportive and adequately resourced. The course program demonstrates relevant information to the industry. Notify CBOS in writing of any significant change to course structure or content. CBOS monitors courses on a regular basis. CBOS will notify course providers who do not continue to meet the requirements outlined in the accreditation documentation. CBOS will advise of any changes so the course can stay accredited. Maintaining the integrity of CPD activities is essential for CBOS to meet the requirements of Competency Based Licensing. All approved courses and events are subject to auditing by CBOS.  Email all applications to CBOSinfo@justice.tas.gov.au. CBOS will treat all material received as confidential. Occupational Licencing (Approved Courses of Training) Determination 2017 - This Determination sets out the approved training courses or competencies required to issue a licence, perform prescribed work or work under an exemption order for electricians, plumbers, gas-fitters and auto gas-fitters. Occupational Licencing (Continuing Professional Development) Determination 2018 (pdf, 202.0 KB) - This information is for practitioners to meet the legislative continuing profession development requirements by getting / maintaining / developing and applying their skills.